VIEWS!!!! 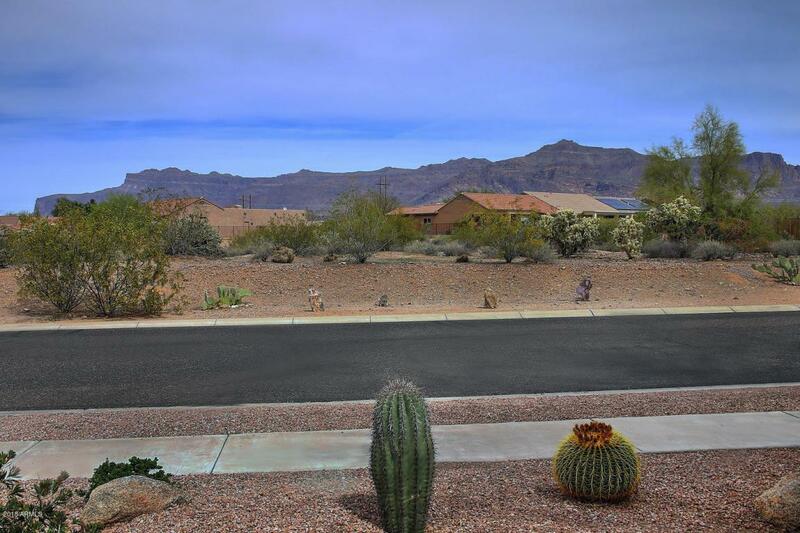 SPECTACULAR VIEWS OF THE SUPERSTITION MOUNTAINS FROM THE FRONT AND PRIVATE DESERT PRESERVE VIEWS BEHIND. 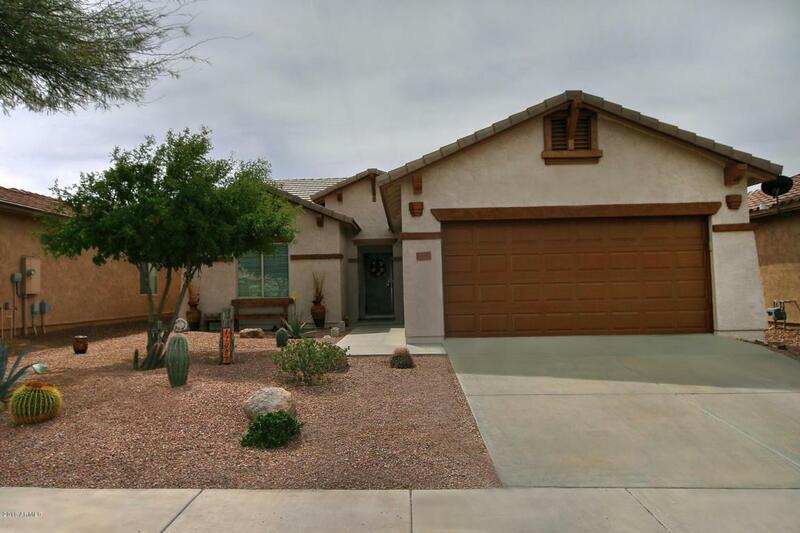 MOVE IN READY HOME THAT FEATURES GATED COMMUNITY, OPEN FLOOR PLAN WITH 18'' TILE AND NEUTRAL COLORS, LARGE ISLAND WITH BULLNOSE COUNTERTOPS, UPGRADED NEW APPLIANCES, LARGE MASTER BEDROOM WITH HUGE WALKIN CLOSET AND LARGE EXTRA BEDROOM AND DEN THAT CAN BE TURNED INTO A 3RD BEDROOM. 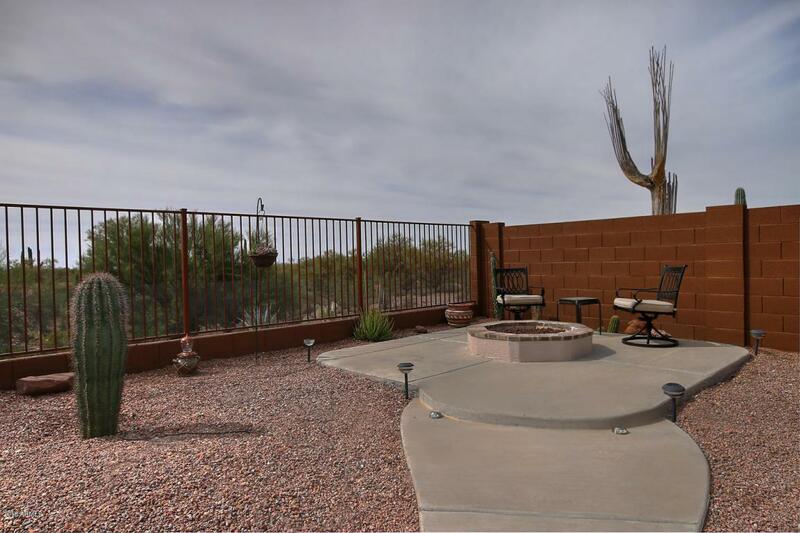 OUTSIDE FEATURES INCLUDE EXTENDED CAR GARAGE, POST TENSION CONCRETE FOUNDATION, GAZEBO, GAS FIRE PIT, OUTSIDE FRESHLY PAINTED AND SATELLITE DISH. HOME IS EPA ENERGY STAR. 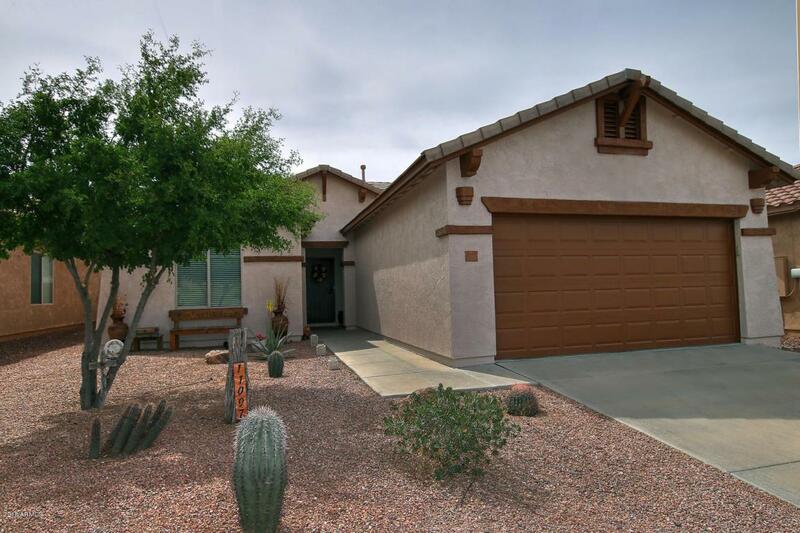 A MUST SEE, YOU WILL LOVE THIS HOME!! FURNITURE NEGOTIABLE ON A SEPARATE BILL OF SALE.